As long as Robbie Scurry didn’t succumb to Alzheimer’s disease, her daughter, Briana, would hold off on committing suicide. The idea was tantalizing: freedom from the debilitating migraines, dizziness and disorientation, as well as the financial struggles that took over Briana Scurry’s life after a career-ending brain injury in 2010. Lying listlessly on a couch daily, periodically changing the position she was curled up in, was not a life. But the former U.S. national soccer team goalkeeper wanted to be there for her mother. Although her mother was battling a disease that stole her memory, Briana was the one who seemed to forget how strong she was. Her final gifts to her daughter before she died in 2015 were time and a reminder of how to deal with adversity. 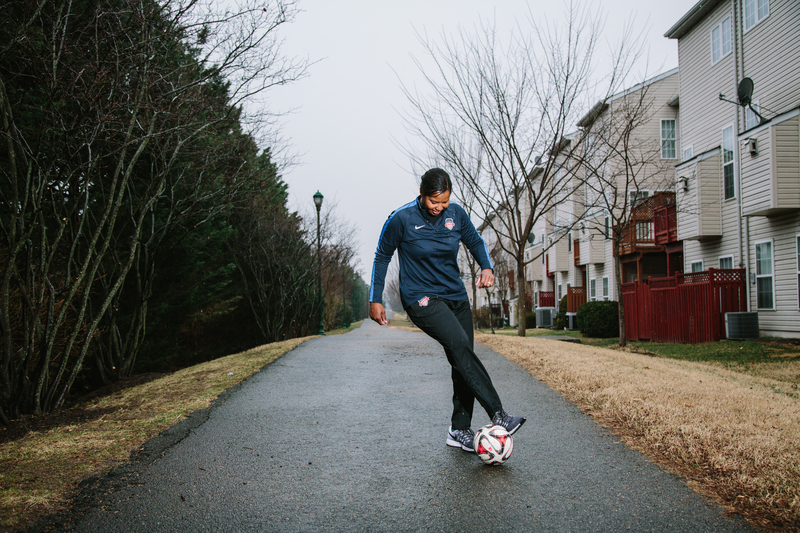 During the four years from Scurry’s first thoughts of suicide until her mother’s death, the two-time Olympic gold medalist and 1999 World Cup winner had a change of heart. She decided, like her mother, that she wouldn’t give up, that she would fight her ailment. The 46-year-old Scurry gets to be lauded by her peers and fans in Orlando, Florida, this weekend because she made the most crucial saves of her life after she retired from soccer. Scurry will enter the National Soccer Hall of Fame on Saturday, the first black woman and first female goalie to be inducted. She made 175 appearances, including 159 starts, and compiled 72 shutouts and a 133-12-14 record with the national team from 1994 to 2008. Scurry, in her fourth year of eligibility for the Hall of Fame, was the lone player elected from 33 nominees. Joe Machnik, a former player, coach, referee and commissioner, joins her in the Class of 2017. “The most important thing to tell people is that things can happen and ruin your life, but you can rebound. You can have a family, career and be healthy,” Scurry said. 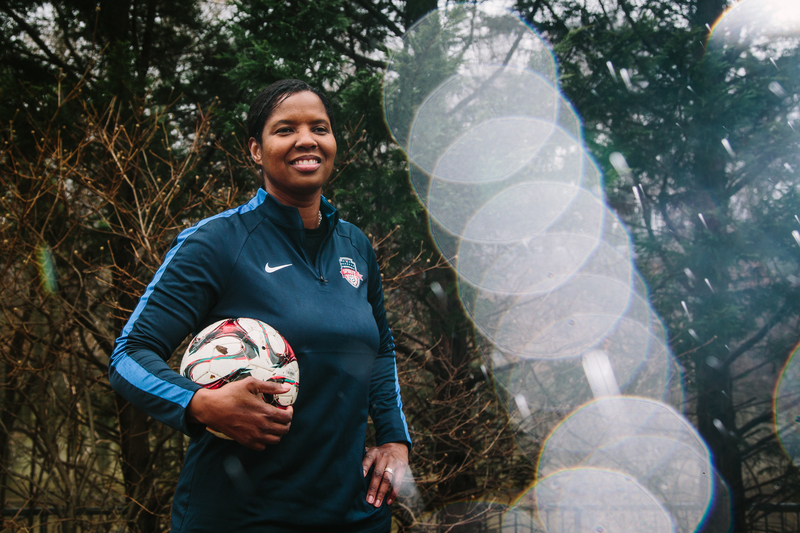 Two years after Scurry’s career ended with a knee to the temple while playing for the Washington Freedom, a women’s professional soccer team, she pawned her Olympic gold medals to make ends meet. That same year, she met the woman who would help her get them back, secure the funds for occipital nerve release surgery to end her migraines, and also become her fiancée. Too often, one of Scurry’s disability checks would be late. She was unable to work and barely keeping herself afloat after suffering traumatic brain injury from a collision with a Philadelphia Independence player in what would be her final game in 2010. When she opened her mailbox and the disability payments were there, everything was fine. When they weren’t, Scurry would go into a panic. And the payments didn’t come often enough that Scurry had a system — she’d contact her lawyer, who would contact the insurance company, who would then send the check, often six to eight weeks later. But while that was being worked out, bills would pile up. Up late one night, Scurry saw an ad on TV for a New York City loan company called Borro, which branded itself as an upgraded pawn shop. Scurry learned that if someone has something of value, the company would front the individual the money and hold the object until all the monthly payments were made. So in 2012, on a day when her disability check didn’t come, Scurry drove from her home in New Jersey to Borro’s headquarters in the Midtown East district. “I need to do it,” Scurry told herself. She took one of her Olympic medals, the 1996 gold, which was her mother’s favorite. 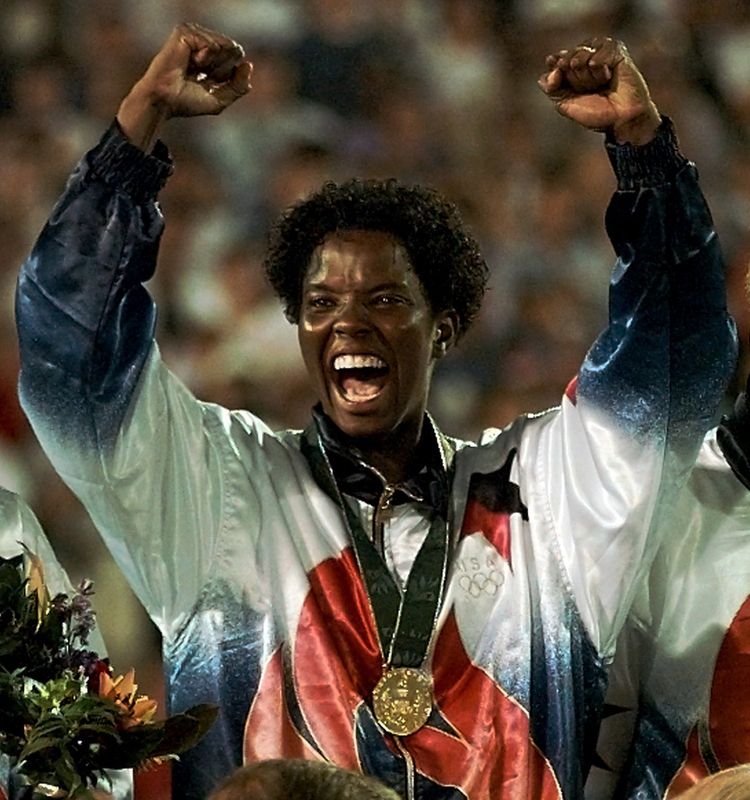 Briana Scurry wearing the 1996 Olympic Gold Medal from the Atlanta games that she pawned to Borro. This was the first Olympic gold medal won by a U.S. women’s soccer team, and Borro decided it was worth $8,000. As soon as Scurry put pen to paper, she felt nauseous — she couldn’t wait to get out of there. On the drive home, Scurry gave herself a pep talk. Soul-crushing doesn’t begin to describe how demoralized she felt. She and her eight siblings lived in a paycheck-to-paycheck household growing up, and she had worked her way out of living like that. 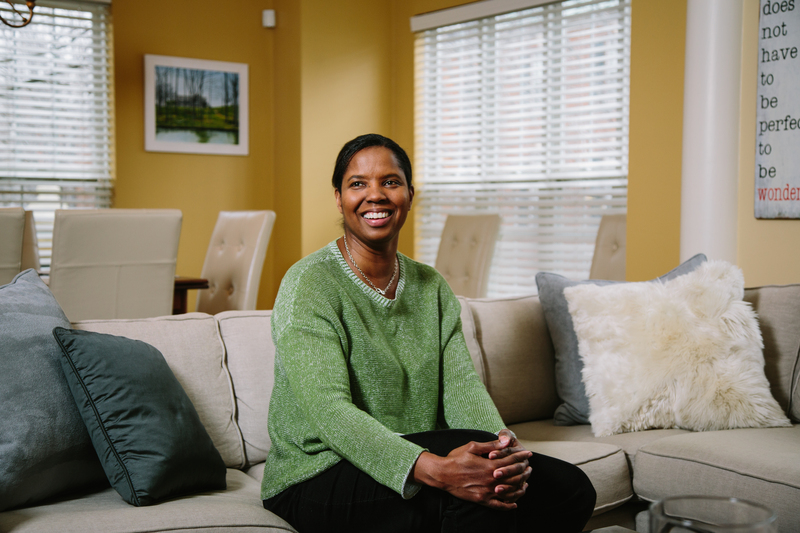 As she sat in her Alexandria, Virginia, townhouse retelling this story, she began to sob. Her dog came over to console her and did not leave her side for the remainder of the interview. Pawning her medal worked out briefly for Scurry, as the disability checks started coming regularly and her Borro payments were reasonable. Then the insurance company failed to send a payment, and Scurry went into a frenzy. She went looking for her second Olympic gold medal and sat with it for a while. Athens was supposed to be her father’s gold medal. It was the gold Scurry won in 2004 after not playing a single minute for the silver-winning U.S. team at the 2000 Sydney Games. Injuries, 25 pounds of weight gain in the offseason and stress reactions throughout her body led to Scurry’s demotion in 2000. Two months before the aging Americans shocked the world in Athens, Greece, winning the gold medal Scurry finally would have been able to give to her father, Ernest Scurry died on Father’s Day in 2004 after a long battle with kidney failure, prostate cancer and heart problems. “My first gold medal from Atlanta, my mom was really attached to it,” Scurry said. “Dad decided that next one was going to be his. He was so ill, he slept in my room. He hung the silver medal very close to his head on my bedpost. He was too sick to sleep in bed with my mom. Scurry’s mother initially wasn’t going to make it to Athens because she was caring for Ernest, but with Ernest’s death and Scurry’s pleas for her mother to attend, she showed up for the quarterfinals against Japan. Told her mother was there, Scurry sprinted from the field and enveloped her in a hug in the stands. Somebody snapped a photo of the moment and sent it to U.S. Soccer, which forwarded it to Scurry. After the 2-1 victory over Japan, the United States would go on to defeat Germany and Brazil with similar scores in the semifinals and final. “That one picture was the height of my joy in my career,” Scurry said. “I never found out who took the picture. It was sent in a letter that didn’t have a return address. These are the memories Scurry sat with. The ones she drove with in her car as she returned to Borro. And the ones she sold this time for $4,000 so she would not default on her first loan. Because Borro had the first medal, the second one was valued less. “I continued to make payments religiously on time,” Scurry said. Scurry’s best friend, Naomi Gonzalez, will present her for induction this weekend. It was Gonzalez who in 2012 demanded that Scurry reach out to Chryssa Zizos, the founder and president of Live Wire Media Relations. Gonzalez had a working relationship with Zizos and believed that she could help Scurry in her fight with the insurance company to pay for her occipital nerve release surgery. The company questioned the legitimacy of the new procedure. Whatever Zizos told Scurry to do, wherever she told her to go speak, Scurry would go. Bringing the battle to the public eventually worked, and the insurance company agreed to fund Scurry’s procedure at MedStar Georgetown University Hospital in Washington, D.C., in 2013. Zizos proved to be someone Scurry could trust. Not only would she help Scurry get the surgery she needed, she also would get back Scurry’s gold medals. Almost no one knew that she had pawned them. None of her friends knew how badly off she was financially, as she couldn’t stand the thought of asking her friends for a loan. Where are your gold medals? Zizos asked. Initially, Scurry would say they were with her mother. One day, she decided she didn’t want to lie anymore. “My heart was beating out of my chest,” she said of the moments leading up to revealing her secret. The tears kept streaming down Scurry’s face as she told Zizos where her medals were and why they were there. Since her surgery, Scurry has completed physical therapy to remedy her balance. As a result of her speaking out about her experiences with brain injury, Scurry has testified before Congress, become a respected voice on concussions and turned that exposure into a successful business as a speaker. Scurry also is an advocate for LGBTQ rights. She has been open about being gay since her playing days. Cameras panned to the goalie kissing her girlfriend at the end of the World Cup in 1999. Scurry’s fist-clenching and high-stepping celebration after her famous cross-net deflection of China’s Liu Ying’s spot kick in the World Cup in front of a record 90,000 fans at the Rose Bowl was not only immortalized on a Wheaties box, but it’s also part of the National Museum of African American History and Culture’s Title IX exhibit. On Dec. 6, 2017, the Washington Spirit named Scurry the team’s first assistant coach on its technical staff and an adviser for the Maryland and Virginia Development Academy programs. She’ll be a Hall of Famer after this weekend, and in June, she and Zizos are getting married. Briana Scurry at her home in Alexandria, VA.